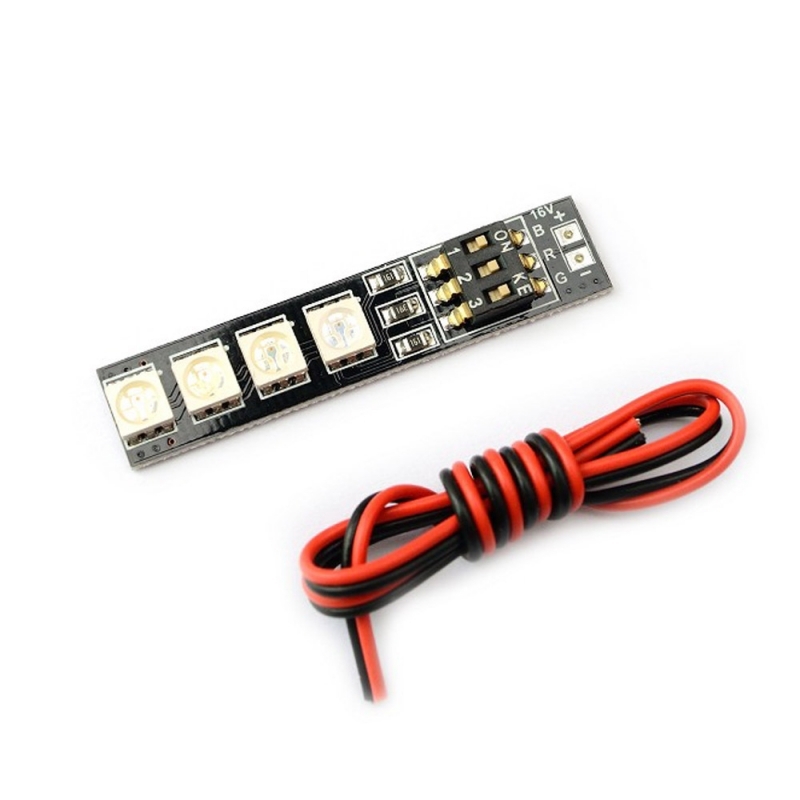 This LED is suitable for light DIY on mutirotor, airplane, helicopter, RC car... etc. 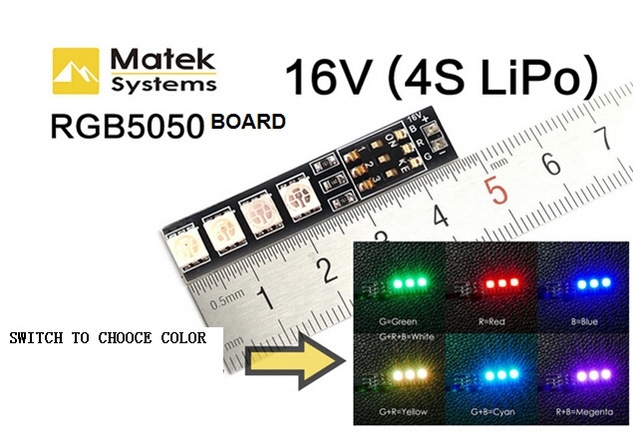 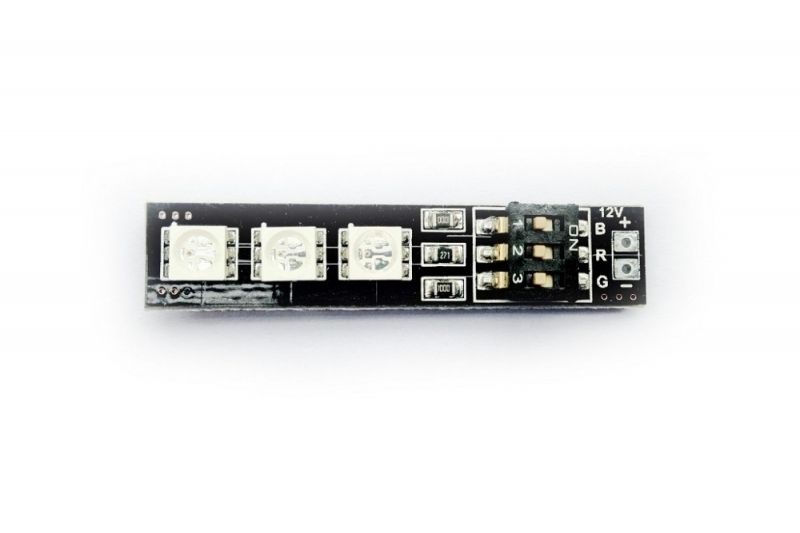 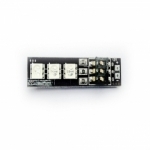 The LED adopts 3 pieces of RGB 5050 lamp beads, with DIP switch on board. According to toggle different switch combination, the LED can switch among 7 colors.